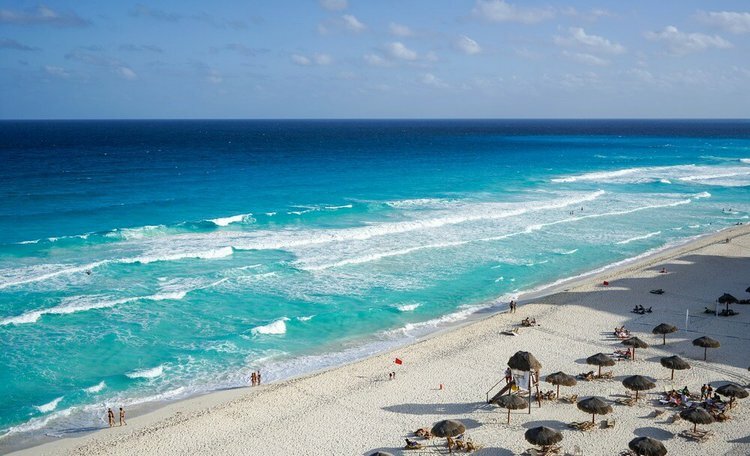 You don’t have to be a travel connoisseur to have heard about the infamous Cancun. Everyone knows Cancun as the city which boasts an endless choice of beachside resorts and nonstop nightlife. 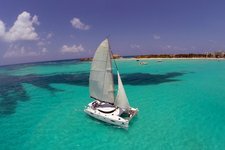 While the booming party scene may seem like the main reason to book a holiday in this part of Mexico, the Cancun sailing scene is also a major attraction. Sailing in Cancun is so popular, mainly because of the plethora of beaches and bays which surround the city. It’s not surprising - at a first glance, you will be blown away by the blue sparkling waters and expansive white sand beaches. Cancun airport is the starting point for many trips in the Yucatan Peninsula, and as you fly into the city, you will enjoy a stunning view of the clear ocean and coral reefs. 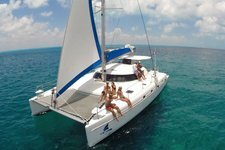 Once you have arranged your yacht rental in Cancun, or have chosen from one of the numerous other sailboat options available through Sailo, you’re going to want to arrange a list of activities during your Cancun sailing adventure. 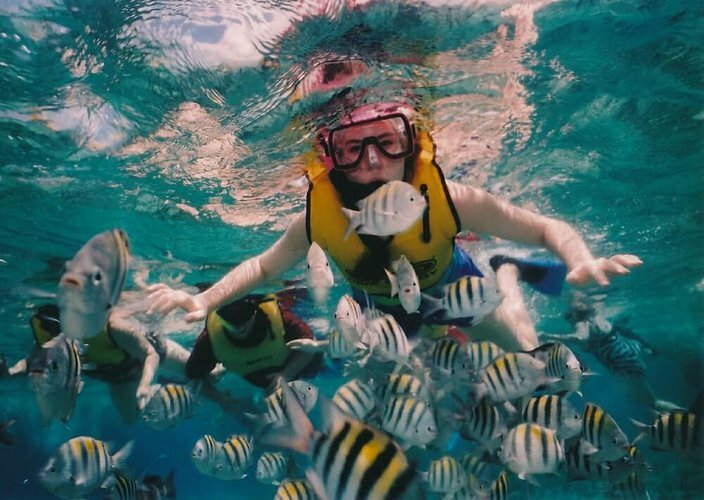 Snorkeling and scuba diving are the most popular water activities enjoyed by tourists in Cancun - even more than jet skiing! If you have hired a daily yacht charter, or signed up for a Cancun weekly boat rental, there are just so many precious snorkeling and scuba diving spots that you won’t know where to begin. Cancun’s beaches are surrounded by the Mesoamerican Barrier Reef System, the second-largest barrier reef in the world, and contains over 65 species of coral and 500 species of fish. With the wind in the sails of your Cancun boat rental, it’s time to explore the surrounding islands on your yacht! 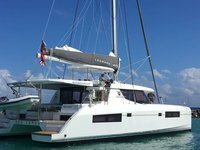 If you’re looking for something luxurious, consider a catamaran boat rental. Fancy something more simple? A monohull sailboat is elegant option when you go Cancun sailing, and will provide you with all the comfort you need. 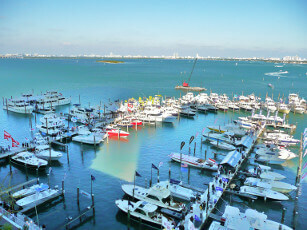 Not sure which boat would be the best fit for your Cancun sailing trip? 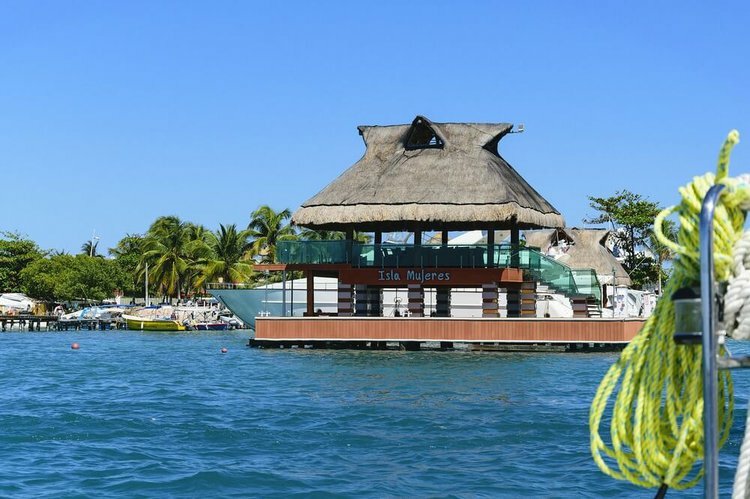 Whether you are planning a week’s long vacation, or just one day in Cancun aboard your boat rental, Sailo can provide you with an extensive array of choices available to hire from this stunning location on the Yucatan Peninsula. The perfect way to start your Cancun sailing trip is at Punta Nizuc - a snorkeling spot located at the southern tip of the island. Admire turtles, lobsters, crayfish, and other friendly underwater creatures, as you escape the crowds of the city for the peace of the ocean. Another snorkeling and diving highlight is the famous Cancun Underwater Museum (MUSA). Explore two different sections of underwater sculptures, made up of over 470 figures! Interesting corals and rock formations can also be admired. An unmissable site is the C58 Minesweeper Wreck dive, which is only accessible by boat from Cancun. Interesting fish which can be spotted from your yacht charter or catamaran in this area include eagle rays, manta rays, and groupers. 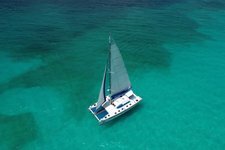 If you want to venture further afield, now that you have your own Cancun based boat rental, why not sail to Puerto Morelos? This fishing village, located between Cancun and Playa del Carmen, offers snorkelers and divers one of the most preserved coral reefs in the area, with beautiful, exotic sea grass. 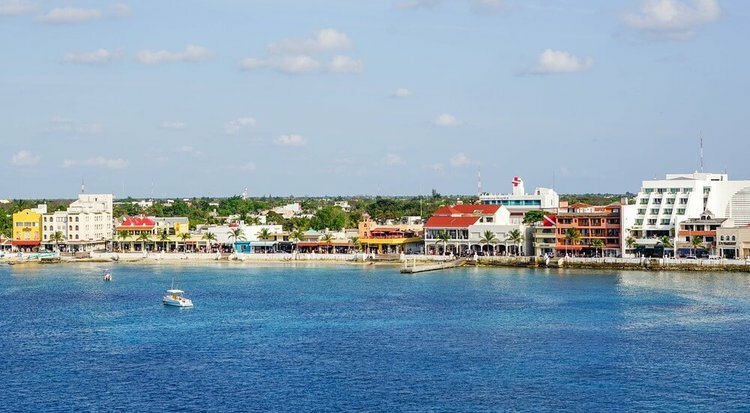 Even for tourists who aren’t on a Cancun sailing adventure, Cozumel is a major attraction when visiting the city. It’s very accessible by boat from the mainland, and also offers incredible opportunities for diving and snorkeling with its National Marine Park and shallow reefs. 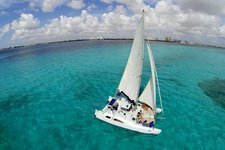 Anchor your Cancun boat rental on one of the charming beaches which dot the island’s shore, such as Playa el Cielo, and spend a day exploring this gem of an island. Climb aboard this 55' SeaRay Flybridge for a great experience! 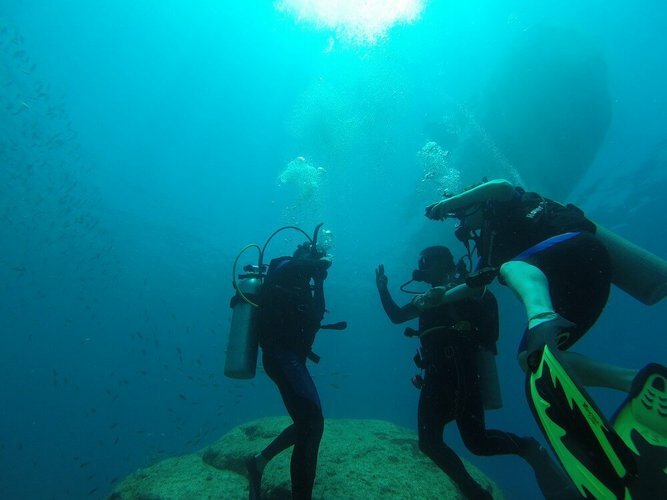 Isla Mujeres is also a mecca for divers and explorers, and is home to the intriguing Cave of the Sleeping Sharks, where boaters can go diving and watch the small slumbering black sharks. If you want to stick to the beaches, then you must sail to the northern sands of Playa Norte, or visit shores of Punta Sur in the south. While you’re there, it’s also worth checking out the Mayan temple remains, which has become a sanctuary for sea turtles. The nearby islands of Isla Contoy and Isla Holbox are definitely worth visiting as part of your Cancun sailing itinerary if you fancy swimming with some sharks! Even though these creatures are slightly larger than humans, they are nevertheless harmless and gentle - and luckily they only like to eat plankton, fish eggs, and deep sea fish! The best time to swim with sharks in Cancun is between June and August, when the sharks are making their journey towards the Mexican Caribbean. Take this awesome Carver 55 ft motor boat for a spin!